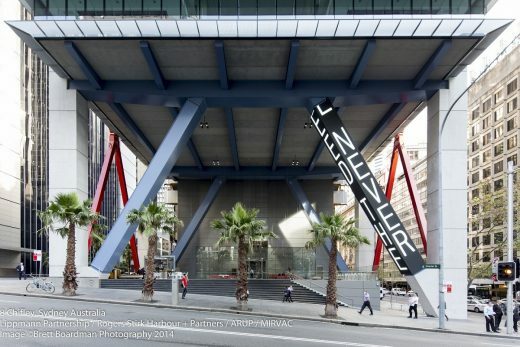 I STAY (Ngaya ngalawa), the first permanent work by renowned American conceptual artist Jenny Holzer, has been unveiled at the 8 Chifley Square building in Sydney, Australia designed by Rogers Stirk Harbour + Partners. The artwork features rotating songs, poems, stories and other texts by Aboriginal Australians and Torres Straight Islanders. 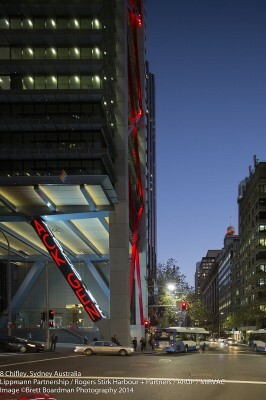 The texts are presented on a scrolling electronic display fitted to a four-sided, 19-metre steel column at street level of the office building. Download high res images here. 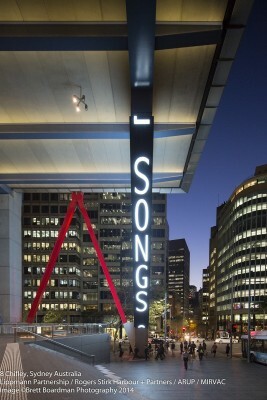 The prominent artwork can be seen from a considerable distance in all directions and fulfils Holzer’s vision of the light and language travelling along the column to create an energising presence. 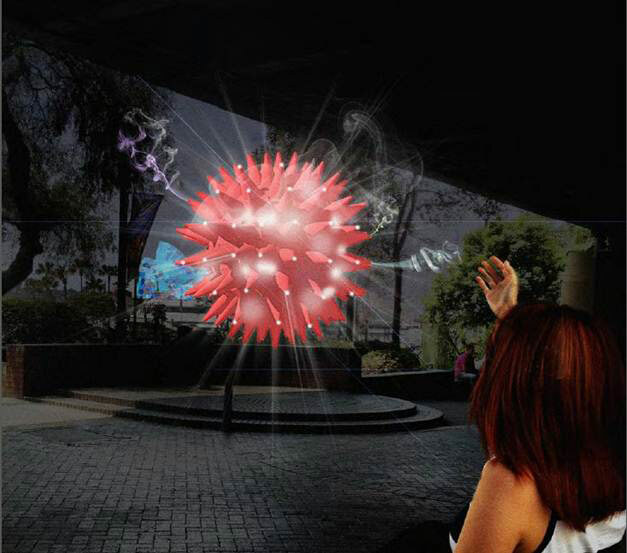 The installation is a bold feature of the new six-storey public space at the foot of the building that completes Chifley Square. Dramatically different to anything seen before on the Sydney skyline, the 34-storey office building is the product of a global collaboration between developer Mirvac, Rogers Stirk Harbour + Partners and Australia’s Lippmann Partnership.